Welcome to Manna. We Are an Evangelical Community of Christians Committed to "Intentional Discipleship"
one disciple at a time. Manna is 100% committed to intentional disciple-making. So how does "Intentional Disciple-Making" make Manna different from every other church? Well, for one, our pastors dynamically teach verse-by-verse through entire books of the Bible. We may spend six moths to a year covering just one book of the Bible. This makes Manna a rare church among many in the Holland area. Most churches offer topical sermons that may last 20 to 30 minutes. At Manna, our teaching goes for 45 minutes but it only seems like 30 minutes...because it really is that good! 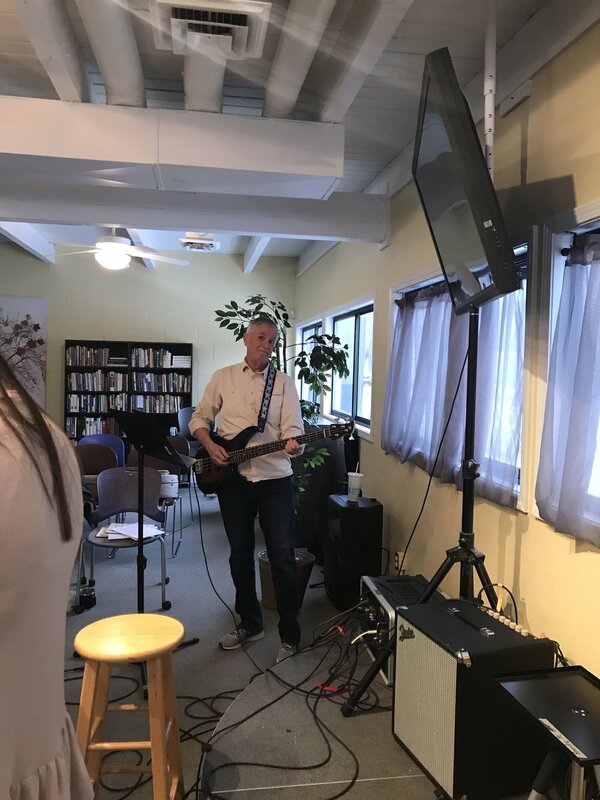 Like many churches today, Manna offers contemporary worship with a band, but we take great care to ensure that our focus is always on the Lord, and not upon the great musicians and vocalists on stage. We believe church should be real, never a show. So you will not find Manna to be entertaining. But you will find Manna to be spiritually enriching with worship that includes interactive prayer, testimonies, and real Christ-centered relationships (i.e., There is no mask-wearing permitted at Manna). Manna is also a multi-racial and a multi-socio-economic relational community. Manna is a true urban church where the blessed and the homeless worship side-by-side and support one another in Christ. While intentional discipleship is one of our highest values, Manna is also committed to be a community of grace; called to be an expression of Christ love into a broken world. The Manna-mix of people is unlike most churches in the lake shore area. It's time to "ASK THE PASTOR." If you have a question: politics, the media, entertainment, scripture, education, stereo equipment, et. al., send your question to Pastor Dave Guerrin. Then look for the answer on our pastor's blog. Fire away! Pastor Dave Guerrin is the founding pastor of Manna Church. Dave's background is Presbyterian. His Masters of Divinity degree is from Trinity Divinity School in Chicago. Dave teaches verse-by-verse through entire books of the Bible with a passion and excitement that has been born out of his own spiritual struggles. If you really want to know what the Bible teaches, Manna is for you. To listen to some of Dave's latest teachings, CLICK HERE.